Just a couple of pics of the Porsche Cayenne 3.2 VR6 I most recently converted (last week). KME Nevo ECU, Hana injectors, Romano HD reducer. I didn't take pics of the switch, fitted where the owner wanted it on the centre console between gear shifter and drinks holder, or of the filler fitted where the owner wanted it in the wing near the petrol filler. Only one tank on this Cayenne (fitted in the spare wheel well) as the owner didn't want a cylinder in the boot (turns out he's in a band and needs the boot space to carry stage gear, didn't know at the time but the band used to work for my dad's clubland agency). Tank holds 41L of LPG and boot floor remains flat, even this tank is a very tight fit in the wheel well, it's not possible to fit a large capacity tank in wheel well of a Cayenne or Touareg, this was the biggest that would fit without raising the boot floor (owner didn't want the boot floor raised either). Many of my customers opt for 2 tanks on these vehicles (spare wheel tank plus a small cylinder in the luggage area for increased LPG capacity, especially on the V8/turbo models. I was hoping for a pic of the engine without the covers on. Is it a proper V6 or are they using the latest incarnation of the old VW 2.8 VR6? That's a very narrow angle Vee with the cylinders almost overlapping and a single cylinder head to keep the size down. Gilbertd wrote: I was hoping for a pic of the engine without the covers on. Is it a proper V6 or are they using the latest incarnation of the old VW 2.8 VR6? That's a very narrow angle Vee with the cylinders almost overlapping and a single cylinder head to keep the size down. Yep, it's the VW derived VR6 (I mentioned VR6 in the title mate)... As you'll probably know, the German VR translates to V Straight (which, like you said, is the narrow angle single cylinder head design), the design has all inlet ports on one side, all exhaust ports on the other, so is more like a straight 6 really... Due to the design, even without the covers on there are still no LPG components to see because the injectors are all on the outer side of the inlet manifold (petrol injectors all at the same side of the engine too), can see the tops of LPG injectors in the pics. They're more of a pain to convert than most straight6 or V6 engines because the only place to fit injector spuds is under the inlet manifold, opposite side of inlet runners to petrol injectors as petrol injectors position is enclosed within the arc of the manifold, best place to fit injectors is on the outside of the manifold (or injectors might fit within the manifold arc but this would add an extra layer of unnecessary hassle when it comes to accessing injectors during servicing etc). Cyl 1 is particularly difficult because the alternator is in the way. At least the newer VR6's in Porsches have an easier design manifold regards conversion than the earlier design, which was boxier and made of metal (this is plastic). The 6 black plastic pipes you see atop the engine simply connect the plenum after the throttle body (drivers side) to the plenum on the passenger side (inlet side) of the engine, the passenger side is where all the injectors and variable length inlet tract gubbins are (usual type variable inlet tract gubbins to tune tract length according to rpm to increase torque, nothing special here regards the VR design). I reckon the V8 models are actually easier to convert than the VR6 models due to the design of the VR6 inlet manifold, though the V8 models are more demanding in terms of spec of components and accurate setup. I might agree with your (reading between your lines) sentiments on the VR design - VW make such designs to fit more cylinders in tight engine bays but the design means an engine with an odd firing cycle and with valve timing that needs to differ between cylinders to compensate for the different length inlet tracts per cylinder bank (to avoid unequal cylinder charges)... this wouldn't seem a good starting point for an engine design but still they're are a good lump, just have their own unique sound and arguably can't be as smooth as a straight6, flat6 or 60 degree V6 (especially at low rpm) due to the odd firing cycle... Way better than some of the old Yank 90 degree V6 'shaker' engines though(!) and in practice you can't tell they're odd firing except for the distinct engine note. 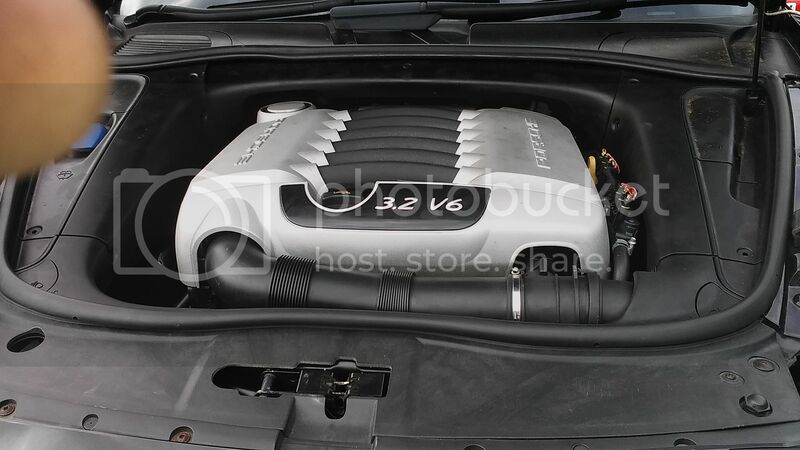 In my opinion a proper straight/flat/V6 or V12 is better because I don't like the idea of odd-firing (bang bang pause repeat) engines, but such usual designs wouldn't fit in the engine bay of some of the VW's / Audi's / Porsche's where VR6's live while a supposed good point of the VR design is a stronger crank. But if all engine designs are a compromise and the whole point of a 12 pot is smoothness, then W12's (which are pretty much two VR6's) are probably the most misleading of the VR designs because they too cannot be as smooth as a 'proper' even firing engine like a proper V12. Some people think VR is one up on V and W is one up on VR, some like the V5 VW engine designs (I've converted those too)... you and I would probably prefer 'more normal' designs with even firing / without need of special crank counterbalances etc. V8's not mentioned because we don't see many none 90degree odd firing V8's (except in WW2 tanks etc), there are no VW VR V8's, I have converted VW V8's in e.g. Audi R/S4's, A8's, etc, but they're just a fairly normal 90deg V8. The owner is still away on holiday, he had his mates come collect it while he was away (which is when I found out he's in the band I mentioned).. He says he'll call me when he's back from holiday and then we'll probably arrange for him to return for his free 1000 mile check at some point... I might have opportunity to take a pic with the engine cover off then but there wont be much more to see as the only part of the LPG system under the engine cover is the vac pipe which runs between those 6 runners (atop the engine) and the engine to the reducer which is at the back passenger side of the engine (probably just see the reducer in the pics). The offset 6 is not a bad engine and does work better than you would think. It is all about packaging rather than performance. I do often see installers messing them up by going over complex in attempts to resolve problems that are not there. The PRV v6 was supposed to be a v8 but got cut down to a 6 so is a 90 V angle instead of 60 so is off balance. The later Volvo inline 6 is a lot smoother. I didn't know if it was a slip of the keyboard when you put VR6 in the thread title as the engine cover simply says V6. That engine looks awfully wide from how I remember the original ones. I'm interested as I've been considering transplanting a VR6 motor into one of my cars. The original engine is a 2.2 litre straight 4 but it's a pretty big old beast and parts are getting extremely difficult to get hold of. I figured that a 6 that was no longer and hardly any wider than what is in there would be a good candidate. Would sound a lot nicer too. 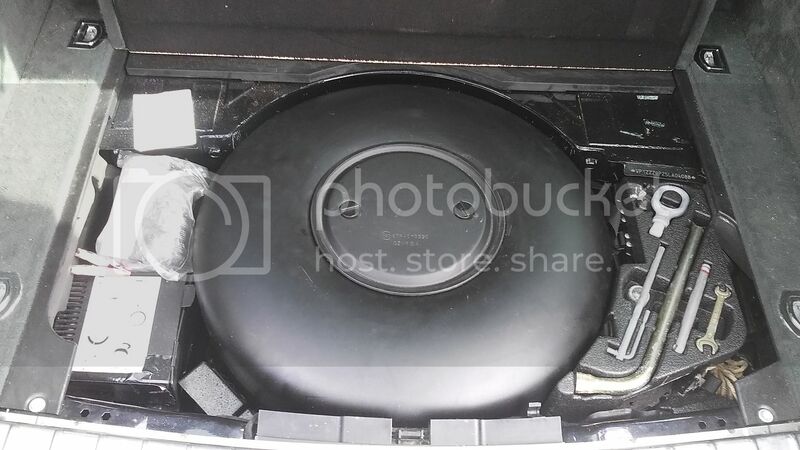 The plastic cover is wide on the Porsche VR6 engine, but the actual block and head underneath aren't. I've got a friend with a Golf 2.8 VR6 running LPG, well it was until he spun it in the wet and broke a wheel off. The engine and LPG system are all intact and working still though awaiting transplant into something else. Now the flat six 3.0 in my Subaru, that's a wide engine - although not very long front to back. Seems like a plan Gilbert! Loads of info out there on transplanting these engines so can't see you having much of a problem but worth checking VW forums just in case.. E.g. I know where people have fitted Subaru flat 4's in VW T2 vans (that I've then converted) they've used older Subaru ECU's to avoid problems with newer ECU's expecting to communicate on canbus with other ECUs usually fitted in the same vehicle (or something along those lines). Only maybe relevant but intended to be helpful. 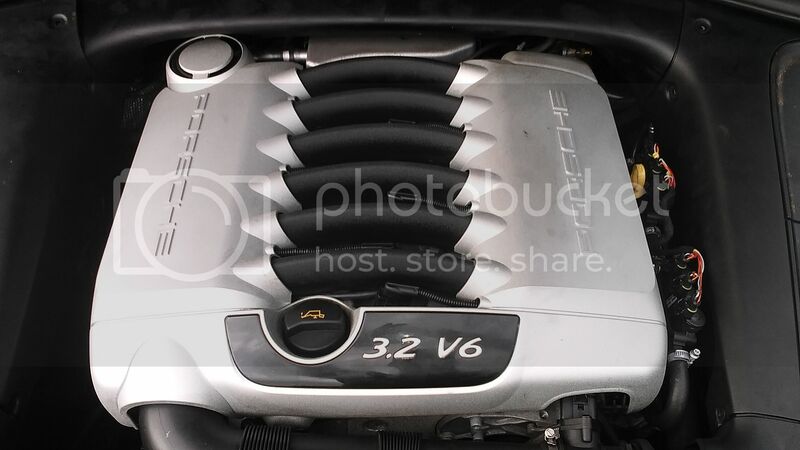 Yep, the block is narrow but the engine cover only overhangs about an inch at each side of the engine, the manifold is very wide at least on this Porsche variant otherwise would be a very compact 6 pot indeed. Reckon other VR6 variant manifolds will be less wide. I'm all too familiar with the Subaru flat 6 now Rich... after having to put new valves in the one earlier this year A pain of a job, well over a hundred bolts, front sprocket, front plate, timing gear, water pump, oil pump, back plate, sensors, VVT oil feeds, cams, all have to come out before a head will come off... Apparently developed jointly with Porsche? Yes, the variable valve lift and timing system on the Subaru EZ30D is almost identical to that on the Porsche flat six engines of the same era. There's been a strong relationship between Subaru and Porsche for a long time. I guess as the last two main manufacturers using flat engines there's a lot of crossover. The manifold must be huge on the Porsche VR6 - the cover's so much wider than the Golf VR6 one! rich r wrote: The manifold must be huge on the Porsche VR6 - the cover's so much wider than the Golf VR6 one! It certainly is wide, probably the widest manifold I know of. I suppose it's functional, may add a bit of torque at points across the rpm range... but equally I'd bet Porsche decided to fill out the engine bay because the narrow lump might otherwise look a bit lacklustre sitting where V8's sit on other models! A feature of a lot of performance vehicles is low volume manifolds for crisper throttle response, can't see this manifold being comparatively low volume, I wonder if it helps with cylinder charge balancing better than a narrower manifold or something. A different manifold design might not have those 6 runners atop the engine, then might have a different design at the intake side with a bit of a plenum there, throttle body straight on that plenum, different tract length gubbins and would probably work with little difference but the package would be a lot narrower... Something like that probably better for Gilbert's purpose - does that describe the Golf manifold? As said, if/when the owner returns for the 1000 mile check I'll take the cover off and take a pic. I'd be looking at an earlier engine that would be pre-Canbus and putting it into a car that has no ECUs whatsoever, just a 4 pot and a carb. If the ECU caused a problem I'd probably end up having to fit a Megasquirt or similar stand alone system (although I'd rather not have to as that would be more cost). The sort of thing I'd be looking for would be from a car like Rich's mate, a car that is scrap due to having been bent or rotted away but with a half decent engine. Whether I would just swap the engine and then run into problems with finding a suitable flywheel/clutch to mate the two bits together and getting an adapter plate made up to join to the existing gearbox or transplant the whole lot and then run into problems with things like gearchange linkage and driveshafts, I've no idea. It's a project that is about 4th in the list of projects so there's no immediate rush anyway. I can find out if my mate's amenable to selling his VR6 Golf - it's just cluttering up his garden at the moment. His daily drive is a diesel Golf that's running on 90% veg oil. Well, the owner never came back for the 1000 mile free check so I haven't had chance to take any more pics (with the engine cover off). Seems nearly none of my customers come back for the 1000 mile check, I tend to hear from them only when they want to change filters (and still there's no problem) or when they want their another vehicle converting. Owner of this Cayenne fills it with sound/stage equipment and tows a trailer full of more sound/stage equipment, several times a week, to gigs all over the place. I expect he'll have covered many thousands of miles by now while fully loaded up. Since this is a Porsche I ought to have linked to a thread on another Porsche I converted.